SALT LAKE CITY October 26, 2017 – The Office of the Utah Attorney General (OAG) announced today that Attorney General Sean Reyes met with White House officials and cabinet members to discuss efforts to combat the opioid epidemic killing Americans. President Donald Trump declared the opioid epidemic a national public health emergency, while a White House spokesman suggested that Congress allocate $45 billion for the fight against opioids. The number of drug overdoses in 2016 is expected to exceed 64,000 Americans, according to the White House. Utah has the 7th highest drug overdose rate in the nation. The White House’s declaration of the opioid epidemic as a public health emergency allows the government to redirect resources in various ways and to expand access to medical services in rural areas. “This is a banner day,” Reyes said in an interview with the Salt Lake Tribune after leaving the White House. “No matter whether you’re new to this issue or you’ve been like many of us fighting it for a long time, there’s nothing but good news in terms of it making people more aware, asking for more help and giving a broad mandate to federal agencies to make this a priority to open up resources to help us all in our individual states and communities. Working with legislators, community activists, and medical community, as well as the Drug Enforcement Agency, AG Reyes organized the Utah Opioid Task Force earlier this year to combat the opioid epidemic. The Utah Opioid Task Force is a voluntary task force made up of representatives from partner agencies and organizations across the state. The mission of the Task Force is to take action against opioid abuse through law enforcement, prosecution, proposed legislation, and innovation. The collaborative process brings together leaders who are alarmed and seeking solutions. Most recently the task force has taken action to fight the opioid epidemic in several ways. Utah Attorney General Sean Reyes co-authored a letter representing a coalition of 37 states and territories urging health insurance companies to examine financial incentives that contribute to the opioid epidemic in Utah. 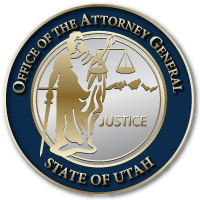 Utah Attorney General Sean Reyes announced that an investigation by a bipartisan coalition of 41 state attorneys general is seeking documents and information from manufacturers and distributors of prescription opioids. This information will enable the attorneys general to evaluate whether these businesses are engaged in unlawful practices in the marketing, sale, and distribution of opioids. Attorney General Sean Reyes has joined with a bipartisan group of attorneys general from across the country in letters to 15 healthcare companies that provide pharmacy benefit management (PBM) services encouraging the companies to implement programs to mitigate prescription opioid abuse. The Task Force called on to make available naloxone rescue kits, which are used solely as an antidote to reverse an opiate overdose. Additionally, legislators and medical community members of the task force are collaborating to forward legislation to address various aspects of the opioid epidemic. 80% of users of hard heroin start with prescription opioids. Drug poisoning deaths have outpaced deaths due to firearms, falls, and motor vehicle crashes in Utah. This entry was posted in Recent Posts and tagged Opioid Epidemic, Opioid Task Force on December 20, 2017 .